Posted on February 4, 2019	by Richard J. Reibstein, Esq. This past month may well be regarded as one of the more legally satisfying for businesses using independent contractors. Courts issued three decisions in favor of companies on the issue as to whether certain workers are ICs or employees: the U.S. Court of Appeals for the Sixth Circuit found insurance agents to be ICs in an ERISA case; the Indiana Supreme Court held that a referral company met the state’s “ABC” test for IC status under the state’s unemployment compensation law; and the National Labor Relations Board reversed an Obama-era test for IC status and promulgated a new, more IC-friendly standard to be used when unions seek to represent workers classified as 1099ers or franchisees. At the same time, however, two major decisions favored workers in class action IC misclassification cases arising in the transportation industry: one where the U.S. Court of Appeals for the Third Circuit held that the federal transportation deregulation law did not preempt New Jersey’s “ABC” test for wage and hour claims; and the other where the U.S. Supreme Court ruled that the federal arbitration statute, which exempts interstate transportation workers from arbitration under that law, applies not only to employees but also to ICs engaged in interstate transportation, and a court, not an arbitrator, is the appropriate decision-maker for determining if a worker is covered by the exemption – even in the face of an arbitration agreement between the business and the worker delegating all disputes to an arbitrator. The news last month also provided a financial impetus to class action lawyers who represent workers in IC misclassification cases. Two high-profile class action cases settlements were approved: one for $9.25 million and another for $1.3 million. These cases, as more fully discussed below, send a clear message to companies using ICs: while courts and administrative agencies are more willing to accept company arguments that certain workers have been properly classified as independent contractors, class action lawyers are unlikely to be deterred from challenging companies’ classification of workers as ICs because these types of cases often lead to sizable settlements, including payment of considerable legal fees. Are companies nonetheless able to minimize their legal exposure to these types of class and collective action lawsuits, including the substantial costs associated with defending and settling them? Yes. As we noted in our blog post this past month about the Supreme Court case involving ICs, there are two actions businesses can take: (1) maximizing their level of compliance with IC laws, thereby reducing the likelihood they will be subject to a judicial or regulatory challenge to their IC relationships, using a process such as IC Diagnostics™; and (2) entering into IC agreements containing state-of-the-art arbitration provisions with class and collective action waivers, using the tips discussed in that blog post. Prudent businesses that use ICs to supplement their workforce or as part of a business model have taken these very types of steps to enhance the structure, documentation, and implementation of their IC relationships and upgrade the effectiveness of their arbitration agreements. INSURANCE AGENTS ARE INDEPENDENT CONTRACTORS, NOT EMPLOYEES, FOR ERISA PURPOSES. Many insurance companies have utilized independent contractor agents to sell policies to prospective and existing policyholders. So, it came as a shock to most insurance companies when a federal district court held in mid-2017, in an employee misclassification class action case brought under ERISA, that American Family Insurance had misclassified thousands of agents as ICs and consequently may owe hundreds of million dollars in allegedly unpaid pension, life, disability, and health insurance benefits. On January 29, 2019, the U.S. Court of Appeals for the Sixth Circuit reversed, holding that, under ERISA, some 7,200 current and former agents selling American Family policies has been properly classified by the company as independent contractors. 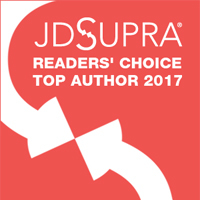 As more fully detailed in our comprehensive blog post published that day, the appellate court reviewed 12 factors under ERISA’s “common law” test for IC status, as set forth in the U.S. Supreme Court’s Nationwide Insurance Co. v. Darden, and found that “the district court incorrectly applied the standards relating to (1) the skill required of an agent and (2) the hiring and paying of assistants.” The Sixth Circuit concluded that “[h]ad the court applied those standards properly, it would have found that those factors actually favored independent-contractor status” and tipped the balance in favor of an independent contractor determination. In addition, the Sixth Circuit held that the district court failed to give sufficient weight to the parties’ written agreement, which expressly stated the parties’ intent was to create an independent contractor relationship and that the agent was “not an employee of the Company for any purpose” – and if it had done so, it “would have further swung the balance in favor of independent-contractor status.” A dissenting judge submitted a dissent emphasizing American Family’s own internal writings characterizing its agents as employees and instructing managers to exercise direction and control over them. Jammal v. American Family Insurance Co., No. 17-4125 (6th Cir. Jan. 29, 2019). We note in our January 29 blog post that this is the type of internal documentation that insurance companies should eliminate in an undertaking to re-document and re-implement their IC relationships in a state-of-the-art manner. We also noted in our blog post that this decision, while important, is limited only to claims under ERISA, which has a far less challenging test for IC status than other federal and most state laws. In assessing the “ABC” test’s impact on prices, routes, or services, the court recognized the test does not mention carrier prices, routes, or services; does not single out carriers as opposed to all businesses; and does not regulate carrier-customer interactions or other product outputs; rather, it only concerns employer-worker relationships. The opinion of the Third Circuit follows decisions by other federal appellate courts and distinguishes a contrary holding involving the “ABC” test in Massachusetts that is different than New Jersey’s “ABC” test. As noted in a January 30, 2019 article by Linda Chiem in Law 360 entitled “3rd Circ. NJ Classification Ruling Curbs Scope of Preemption,” quoting the publisher of this legal blog, “the decision in this case is “not groundbreaking,” but by limiting the applicability of the FAAAA as has been done in similar cases, it “may nonetheless bury most arguments by transportation companies that state ABC independent contractor tests are preempted by the federal transportation deregulation laws.” Bedoya v. American Eagle Express Inc., No. 18-1641 (3d Cir. Jan. 29, 2019). INDIANA SUPREME COURT HOLDS “ABC” INDEPENDENT CONTRACTOR TEST MET BY REFERRAL COMPANY. The Indiana Supreme Court has ruled that a driver for Q.D.-A., a company that matches drivers with businesses needing vehicles like RVs delivered to them, is an independent contractor and not an employee under the state’s unemployment insurance laws. After filing for unemployment benefits, the state’s Department of Workforce Development concluded the driver was an employee. After that decision was affirmed by an Administrative Law Judge, an intermediate appellate court reversed. On further review, the Indiana Supreme Court affirmed, holding that all three prongs of the state’s ABC test for IC status under Indiana’s unemployment laws had been satisfied. Under Prong A, the court found that the driver was not under the company’s control or direction, under either his contract or in fact. Under Prong B, the court determined that the driver performed a service outside of the company’s usual course of business: the driver provided “drive-away” services, while the company did not “regularly or continually provide such services.” The court found that Prong C was satisfied because neither party disputed the agency’s initial finding that the company “provided sufficient evidence to demonstrate that [the driver] was customarily engaged in an independently established trade, occupation, profession, or business of transporting commodities.” Q.D.-A. v. Indiana Department of Workforce Development, No. 19S-EX-43 (Sup. Ct. Ind. Jan. 23, 2019). TRANSPORTATION COMPANY SETTLES IC MISCLASSIFICATION CLASS ACTION FOR $9.25 MILLION. A California federal court has granted final approval of a $9.25 million settlement between drayage transportation company, Roadrunner Intermodal Services LLC, and a class of 896 truck drivers claiming violations of state wage and hour laws due to their alleged misclassification by the company as independent contractors. The drivers also sought reimbursement of expenses including fuel, liability and property damage insurance, maintenance, and equipment repair. In approving the settlement, the court stated that “while plaintiffs potentially have meritorious claims, it is far from certain that they would have prevailed on those claims, given the uncertain nature of relevant case law.” The court also stated that, given the plaintiffs’ serious concerns regarding the impact of protracted class action litigation on the company’s financial condition and its related ability to pay a settlement, the proposed settlement “provides compensation that is available now, without the additional time and risk of a decision that would likely be subject to a lengthy appeals process.” The settlement provides for $5.8 million to the drivers (or approximately $6,550 on average to each class member), slightly over $3 million (one-third of the total) for class counsel, and $75,000 in payments under the California Private Attorneys General Act. Singh v. Roadrunner Intermodal Services LLC, No. 15-cv-1497 (E.D. Cal. Jan. 24, 2019). Under the agreement, the company will pay a maximum gross settlement amount of $1,304,250 of which $734,294 will be paid to class plaintiffs who have opted in (or on average, under $150 per driver). One-third of the settlement proceeds will be paid in attorneys’ fees and the remainder is earmarked for legal expenses, service awards, and the fees of the settlement administrator. In their submission in support of settlement, the drivers acknowledged that the company had a “‘significant chance’ of either prevailing on the merits, by a finding that the drivers are independent contractors, or of achieving a reduction of liability if not required to compensate for drivers’ wait time.” Hood v. Uber Techs., Inc., No. 1:16-cv-00998 (M.D.N.C. Jan. 3, 2019). FEDERAL ARBITRATION ACT EXEMPTION FOR INTERSTATE TRANSPORTATION WORKERS COVERS INDEPENDENT CONTRACTORS AND BARS COMPANY’S MOTION TO COMPEL ARBITRATION. After an intermodal trucking company, New Prime Inc., was sued in a proposed class action by a truck driver whom New Prime classified as an independent contractor, the company filed a motion to compel arbitration under its independent contractor agreement containing a mandatory arbitration provision. The district court denied the motion, holding it lacked authority to compel arbitration because Section 1 of the Federal Arbitration Act (FAA) exempts from arbitration all disputes involving “contracts of employment” with interstate transportation workers. The U.S. Court of Appeals for the First Circuit affirmed. The U. S. Supreme Court reviewed the decision and held that a court, not an arbitrator, should decide whether the transportation worker is excluded from the provisions of the FAA. In rejecting New Prime’s argument that the question should be determined by an arbitrator, the Supreme Court determined that the parties could not, by agreement, bypass the interstate transportation worker exclusion of Section 1 of the FAA. As more fully discussed in our blog post of January 15, 2019, the Supreme Court decision is of limited value because it only applies to the federal arbitration statute. State arbitration laws generally do not include an exception for transportation workers. As noted in a January 16, 2019 article entitled “Supreme Court Gives Truckers a Victory” by Margot Roosevelt in the Los Angeles Times, quoting the publisher of this legal blog: “An argument can be made that this decision will have little or no effect on the right of employers to compel arbitration of any worker’s dispute. Those who suggest that this decision is momentous … may wish to reconsider their exuberance.” New Prime Inc. v. Oliveira, No. 17-340 (U.S. Sup. Ct. Jan. 15, 2019). BAKED GOODS COMPANY UNABLE TO DECERTIFY CLASS AND COLLECTION IC MISCLASSIFICATION LAWSUIT. Distributor/drivers in Maine have gained class certification in a class and collective IC misclassification lawsuit against Flowers Foods, Inc., one of the largest producers of packaged bakery foods in the United States. The distributor/drivers allege violations of various state wage/hour and the federal Fair Labor Standards Act. Flowers Foods claimed that individual questions of fact preclude maintenance of the lawsuit as a class and collective action, but the court disagreed. It held that questions of fact or law common to class members predominate over questions affecting only individual members and that a class action is superior to other available methods for fairly and efficiently adjudicating the misclassification controversy. In addition, the court denied the company’s motion to decertify the FLSA collective action, concluding that the distributors are similarly situated to the named plaintiff and the maintenance of a collective action is preferable to potentially conducting many individual trials. Noll v. Flowers Foods, Inc., No. 1-cv-493 (D. Me. Jan. 15, 2019). NLRB REVERSES OBAMA-BOARD’S UNION-FRIENDLY TEST FOR INDEPENDENT CONTRACTOR STATUS IN FRANCHISEE CASE. The National Labor Relations Board has revived the “common law” test for determining independent contractor status and overturned the union-friendly test adopted during the Obama Administration. An NLRB Regional Office found that shuttle drivers who owned and operated franchises of SuperShuttle DFW, Inc. were independent contractors and not employees eligible to be represented by a union under the National Labor Relations Act. In reaching its decision finding IC status, the NLRB Regional Office had applied the Board’s traditional common law agency test. That decision was reviewed at the behest of the union. But instead of simply affirming the decision, the NLRB (in a 3-1 decision) overruled an earlier union-friendly NLRB decision issued during the Obama Administration. The NLRB reviewed eight factors under the common law test and found that five factors supported IC status; two factors supported employee status; and one factor was neutral. In concluding that the franchisees were ICs, the Board majority discounted the importance of two factors favoring employee status, finding them to be “relatively less significant” than those favoring IC status. As discussed in our blog post of January 25, 2019, this decision, while perhaps noteworthy politically, has limited application to most companies for two reasons: First, it is only applicable to union efforts to organize and represent workers classified as independent contractors. It has no application under any other laws, including federal and state wage and hour laws, state wage payment laws, unemployment insurance and workers’ compensation laws, and the federal law governing retirement and employee welfare benefits. Second, the NLRB adopted the common law test used by the U.S. Court of Appeals for the District of Columbia, which had rejected the NLRB’s prior test. As noted in a January 25, 2019 article in the Los Angeles Times by Margot Roosevelt entitled “NLRB Empowers Companies to Treat More Workers as Independent Contractors,” quoting the publisher of this legal blog, “The NLRB’s decision is . . . limited to determining only if certain individuals are employees that can be represented by a union. It has no application to state or federal wage and hour laws.” SuperShuttle DFW, Inc., 367 NLRB No. 75 (Jan. 25, 2019).